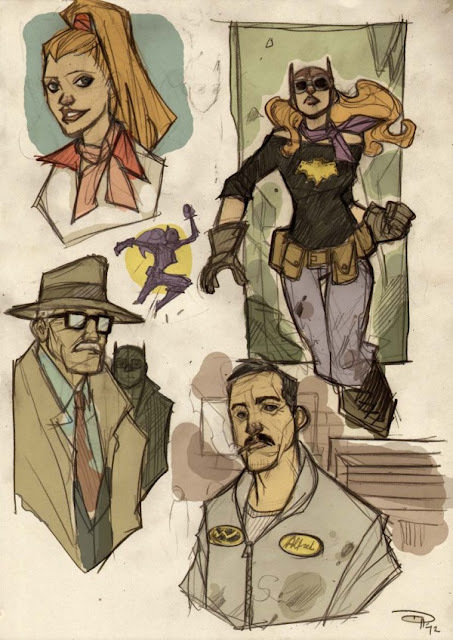 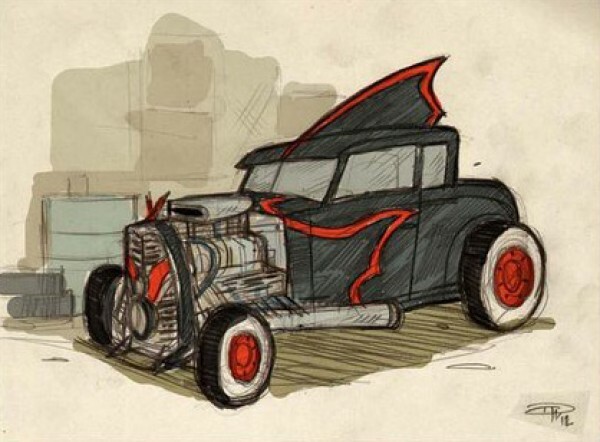 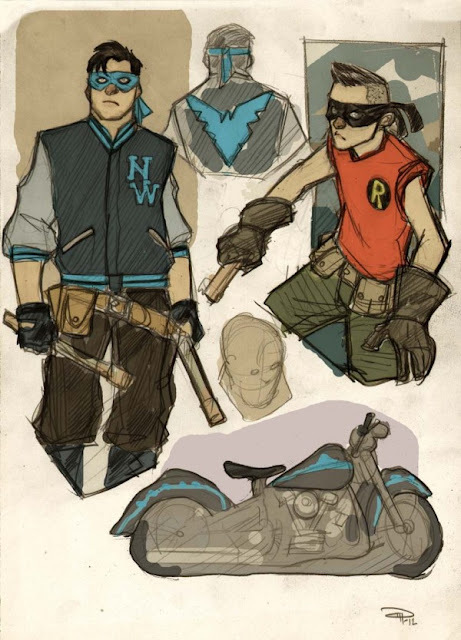 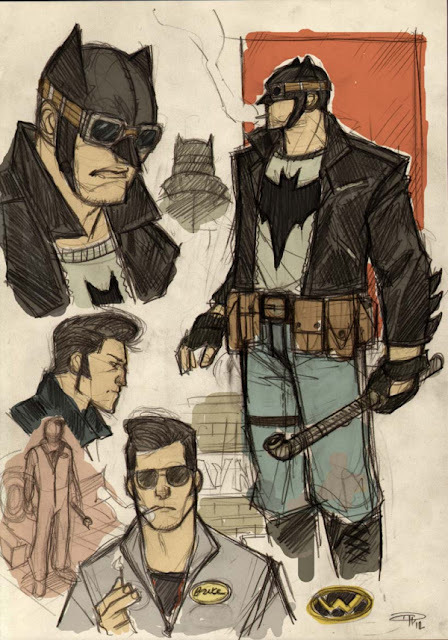 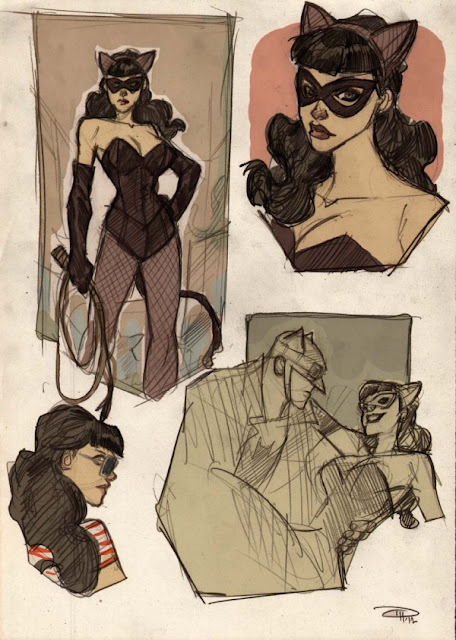 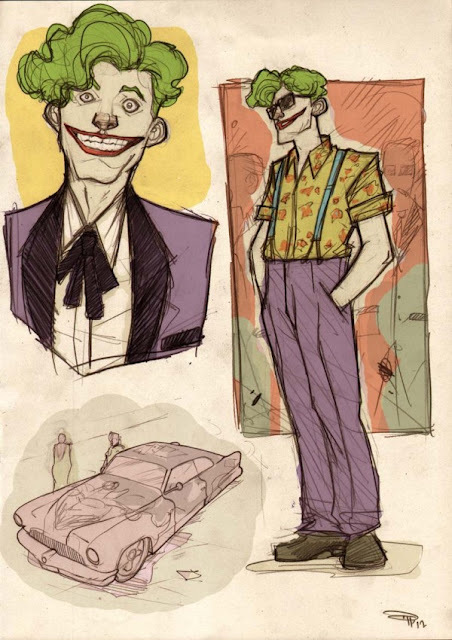 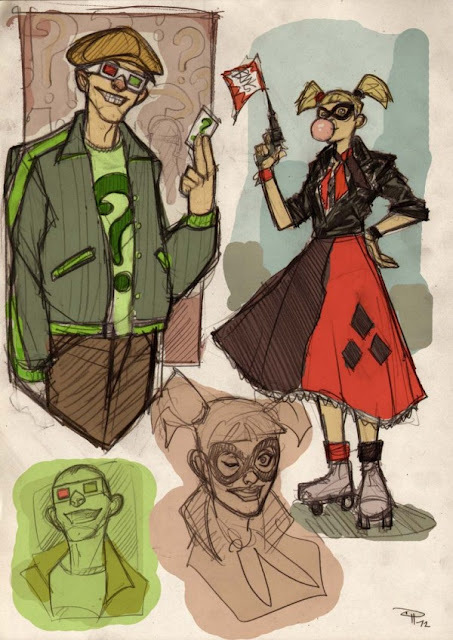 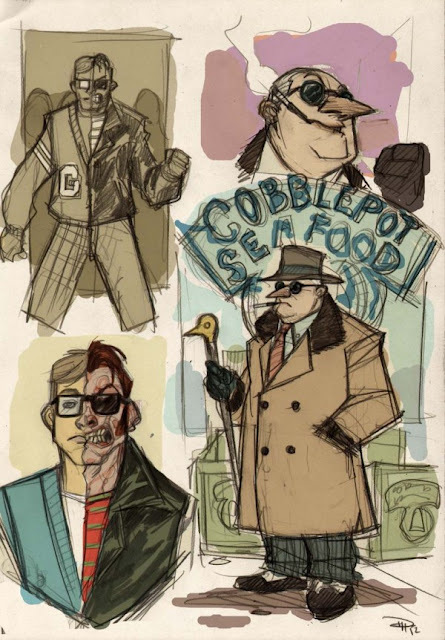 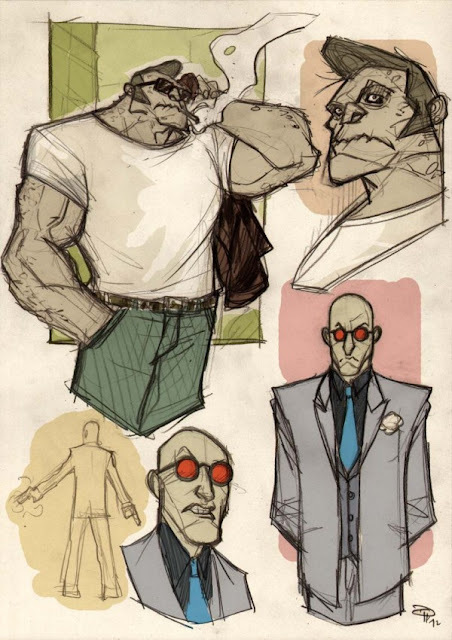 First Italian born artist, Denis Medri wanted you to realize just how cool a re-imagined 1950's world featuring Rockabilly Batman aka "Greaser Batman"and the rest of the Gotham crew would really be. 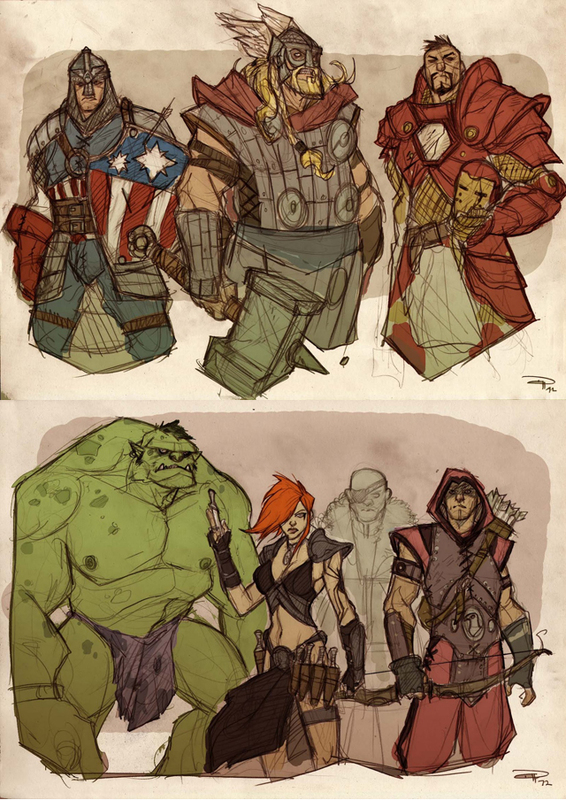 Then, he wanted to he throw the concept of the Avengers into the fantasy world. 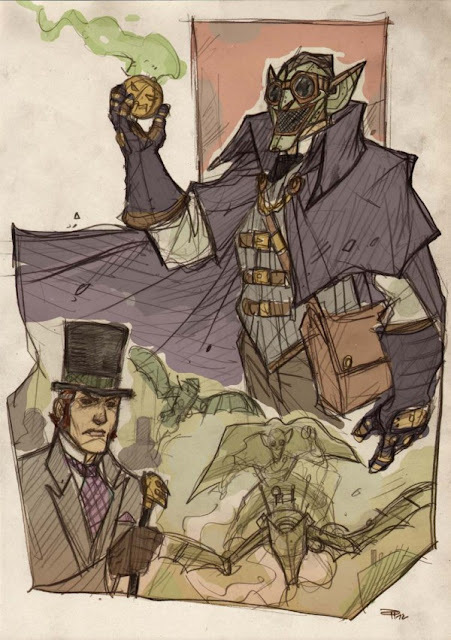 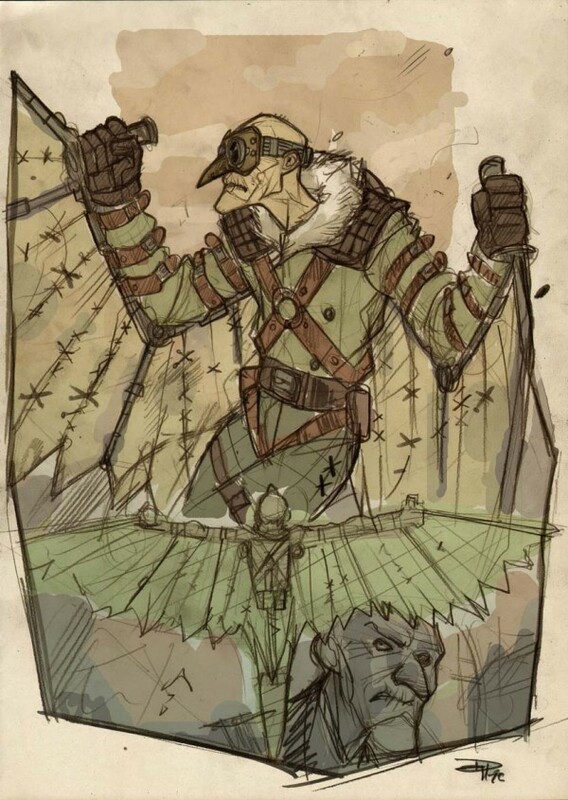 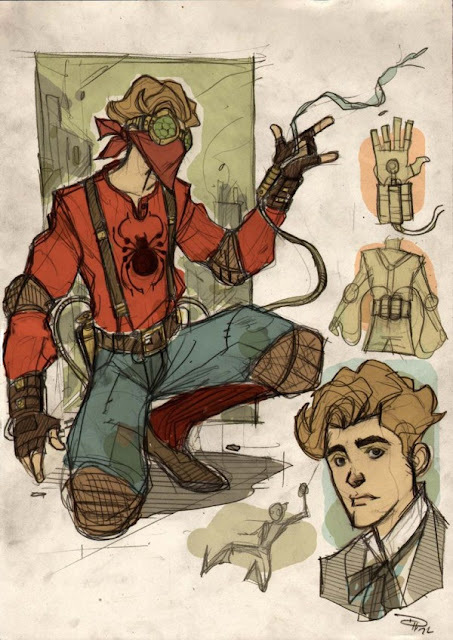 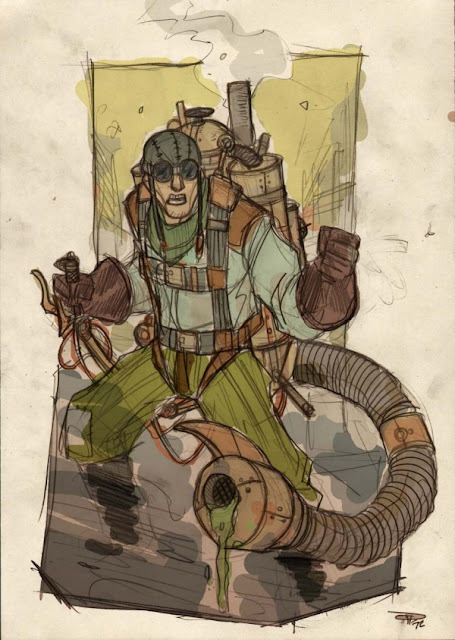 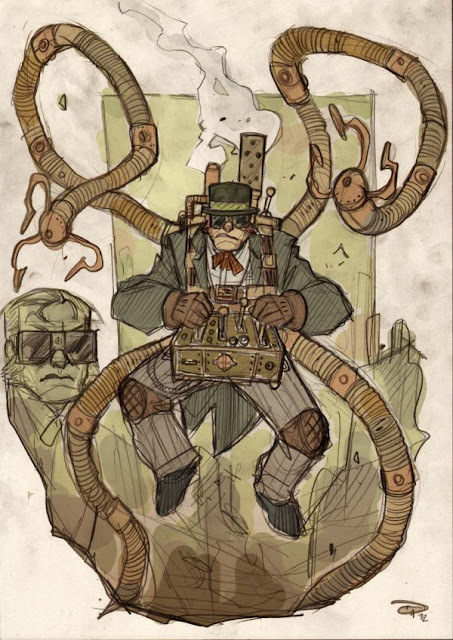 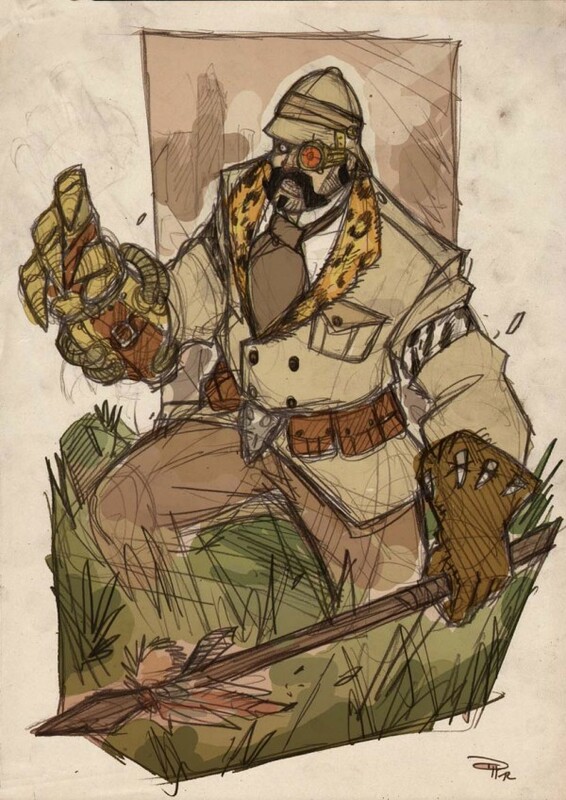 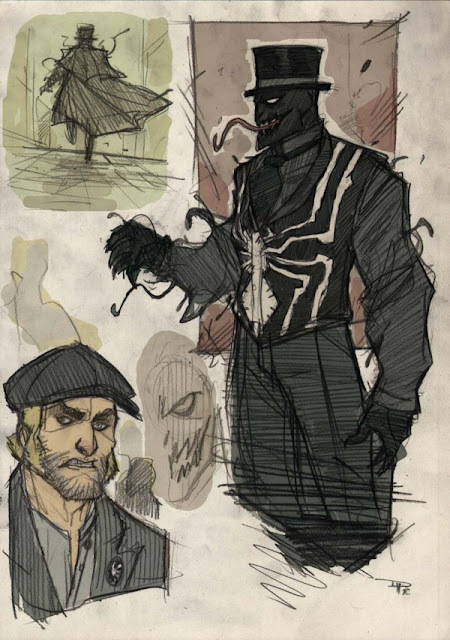 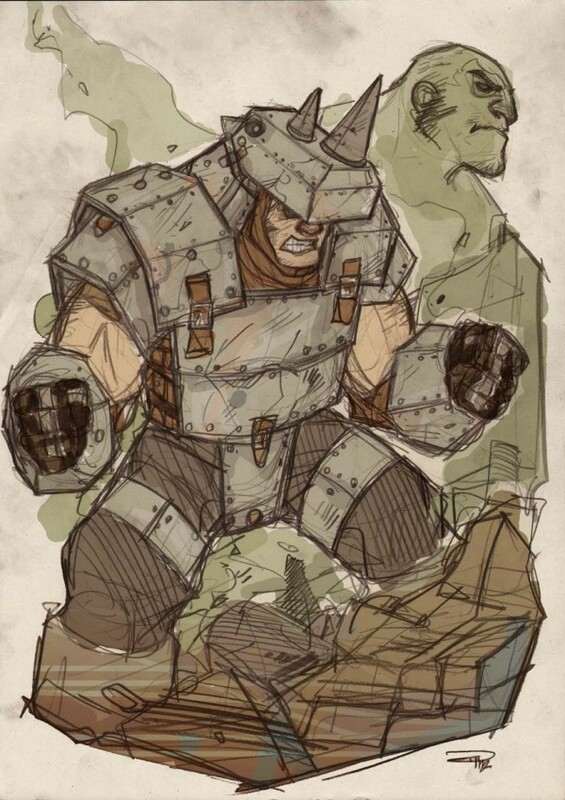 This time, Medri takes the cast of Spiderman back to the faux-days of yore ala" Steampunk Spiderman." 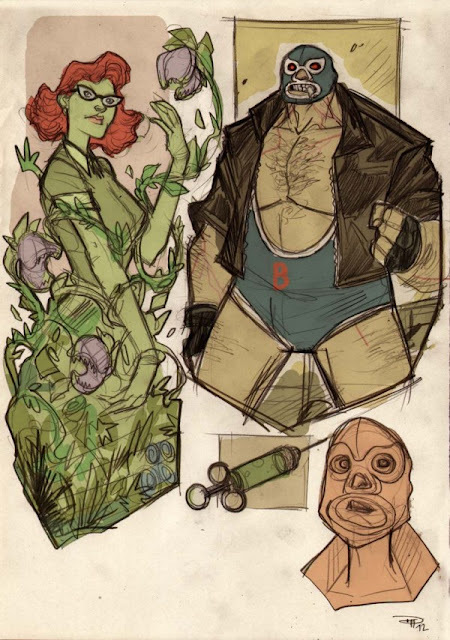 See much more from the very talented Mr. Medri: HERE!